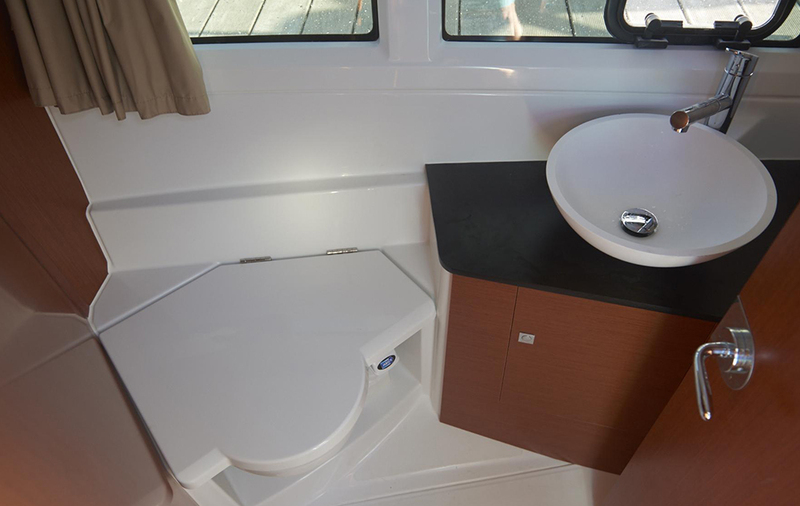 Alex Smith explains the basics of marine toilets, also known as 'heads', including top tips and some key marine toilet models. If you’ve ever enjoyed fishing, cruising or family boating, you will know that a boat with a toilet (also known in 'marine speak' as 'heads') is infinitely better than one without. However, given that water, energy and space are all at a premium on a boat, you need a loo that is built for purpose – so what does that involve? Well the most basic requirements of any marine toilet must include the capacity to evacuate the contents of the bowl in a single flush; the rinsing of the bowl to reduce staining; and the prevention of odours reaching the bowl from the holding tank. On top of that, a good example will ideally involve minimal noise, water usage and electrical draw, alongside sensible proportions, easy installation and straightforward maintenance. Spaces on a compact weekender are rarely straightforward, for some really small boats a simple bucket is your friend, but a flushable 'heads' is a welcome improvement. It sounds complex but the underlying principles behind it all are very simple. The absence of a sewerage system on a boat means that waste needs storing until you are able to take it ashore. Every traditional boat toilet therefore functions by flushing (or dropping) the waste from the bowl into some form of holding tank. That will either be a portable tank that needs to be manually carried to a disposal point on land for emptying; or a larger built-in tank that is emptied by connecting a suction hose at a shore-based pump-out facility to your boat’s external outlet. For obvious reasons then, marine loos are broadly categorised as either cassette toilets or pump-out toilets. However much you trust your on board systems, it makes sense to use onshore facilities whenever they present themselves. If you have a cassette toilet, keep a spare cassette or two, in case you fill the first tank while a long way from the nearest disposal point. Use cheap, lightweight, biodegradable toilet paper (like a supermarket’s own budget brand) to avoid blockages. 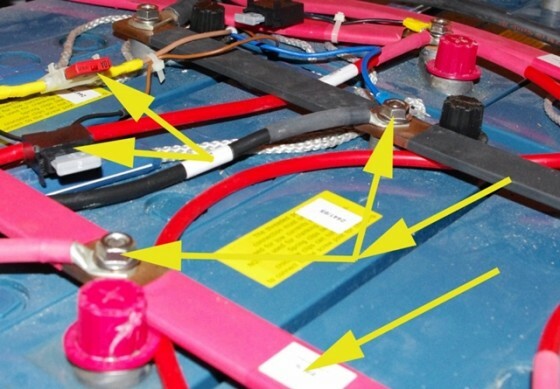 Keep your batteries charged and in good condition to ensure an effective flush on electric pump-out models. To preserve your boat’s trim, a holding tank for a pump-out loo should be positioned in the centre of the vessel. Always ensure your guests understand how to use the loo and how to avoid causing blockages. If you want to go green, look at nitrate, enzyme and bioactive treatments instead of chemicals. If you want to go really green, take a look into composting toilets. For compact spaces and maximum simplicity, a basic cassette toilet can cost as little as £80. For greater refinement and a more civilised emptying operation, a pump-out toilet is the better option. Ensure you check your 'heads' regularly and know how to fix things if there's a problem as you might be some way from assistance - see our feature on how to fix your marine toilet. Keep a bucket in store for emergencies (on some sailing craft this can be an easier option when under way, as well as essential in case of any malfunctions). Thetford continues to do a big range of portable toilets. A cassette toilet is simply a loo with a removable waste tank. Although there is a great deal of variety, it comes in two basic forms: integrated (built into your boat as a permanent fixture) and freestanding (in which case you can tuck it into which ever corner suits your fancy). 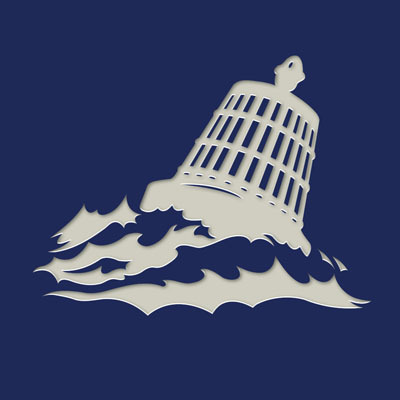 In the former case, rinse water can be taken from the boat’s own water system, whereas in the latter, a limited quantity of rinse water is contained in the upper (seat and bowl) part of the structure. The cassette toilet now encompasses everything from a simple two-part box that stows away beneath a seat to far more elaborate models, with swivel seats and electric flush that in appearance (if not in function) closely resemble your toilet at home. A lot of people swear by cassette toilets for their affordability, their simplicity and their reliability. 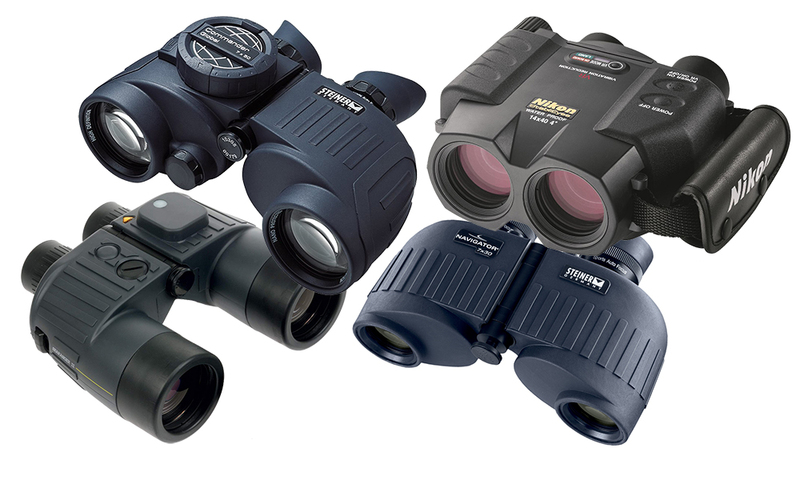 Basic models can cost as little as £80 and they require very little space or upheaval on board your boat. The fact that you can transport your waste tank to a disposal point (rather than having to take your entire boat with you) is also an advantage in some people’s eyes and the fact that use of these disposal points is usually free is also a bonus. However, you do have to keep the rinse reservoir topped up, the cassettes can get extremely heavy and they can also be quite agricultural to use, both in terms of smells on board your boat and in terms of the practical undertaking of emptying your tank by hand. The flow is generally very good with modern cassettes when you empty them out, but even if you’ve never experienced any splashback, there’s nothing like carrying a box of your own sewage around to take the shine off a weekend away. Even cassette toilets can come with home-style bowls and electric flush. 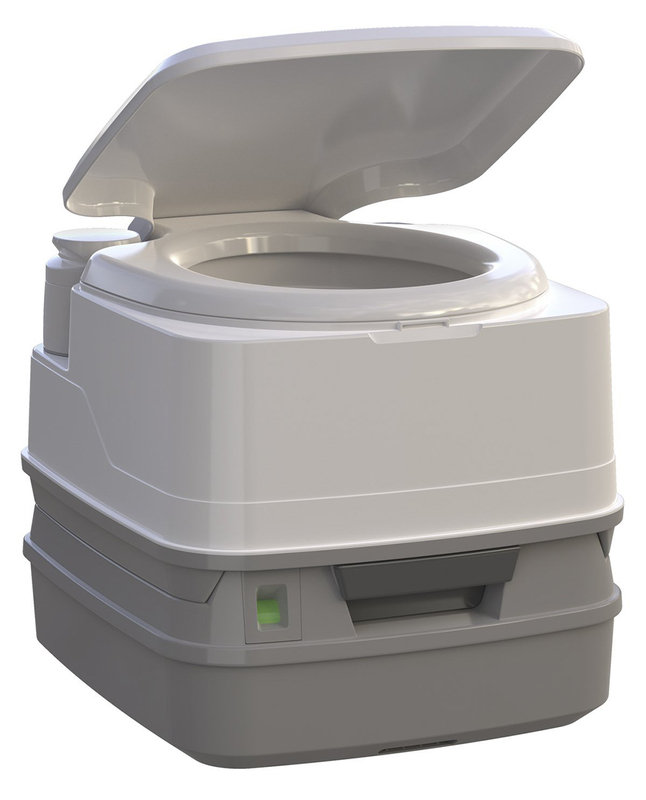 The pump-out toilet abandons portability altogether. 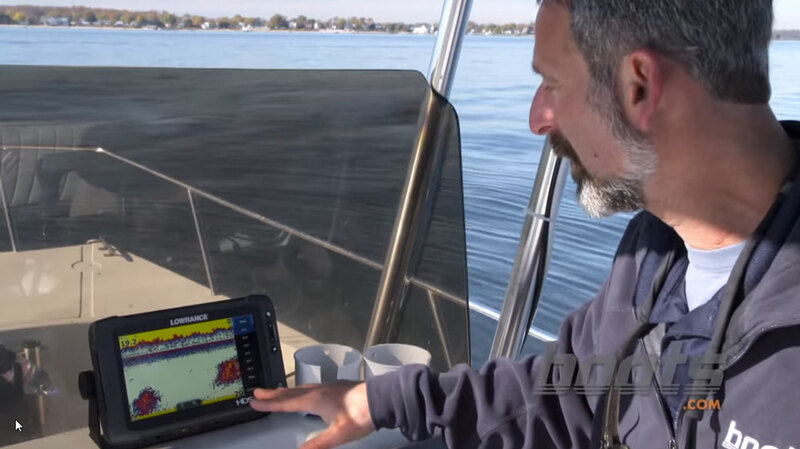 Instead, it uses a larger holding tank that is permanently fixed to your boat. 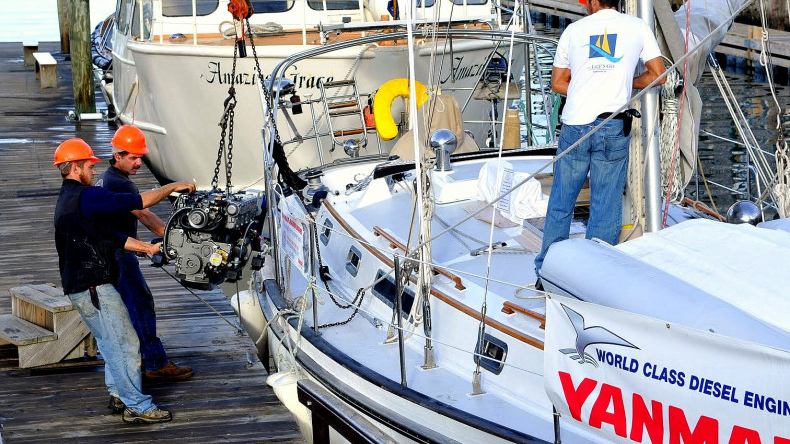 This means that, when the time comes to empty it, you need to use a marina’s pump-out facility, which usually costs between £15 and £20, but even on a liveaboard boat, a couple will rarely have to pump out more than once every three or four weeks. The emptying process itself also feels much more civilised because the closest you get to the waste itself is watching it disappear via a viewing window in the pump-out hose. There’s no smell either and, if you buy a porcelain rather than a plastic model, they look and feel much more like the kinds of toilet you would use at home. 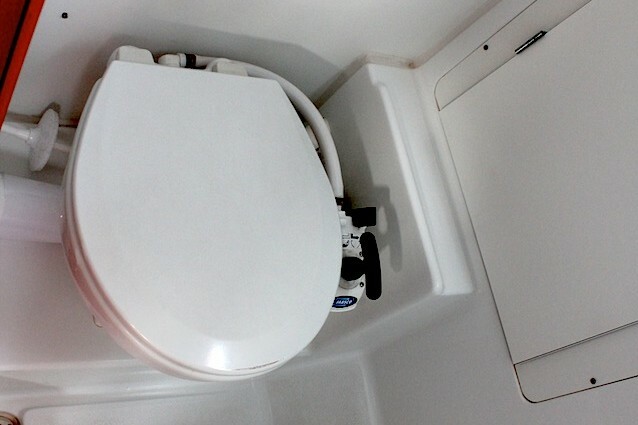 The pump-out toilet comes either as a ‘Dump-Through’ unit (where the tank sits directly beneath the toilet) or with a remote tank, where the waste has to be transported away by pumps or vacuums via a pipe network. They can often involve a macerator, which chops the waste into smaller parts before sending it through the pipes. This of course is in a bid to prevent blockage, but you still need to be careful to use only the bare minimum of lightweight, biodegradable toilet paper or you could well incur a blockage that requires expert attention. 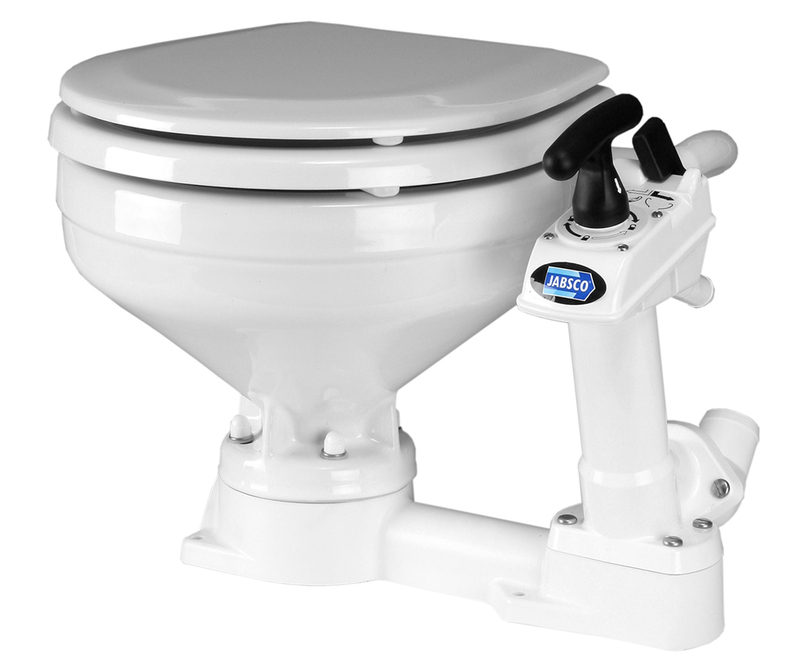 Jabsco's manual-flush pump-out toilet is the go-to marine option. 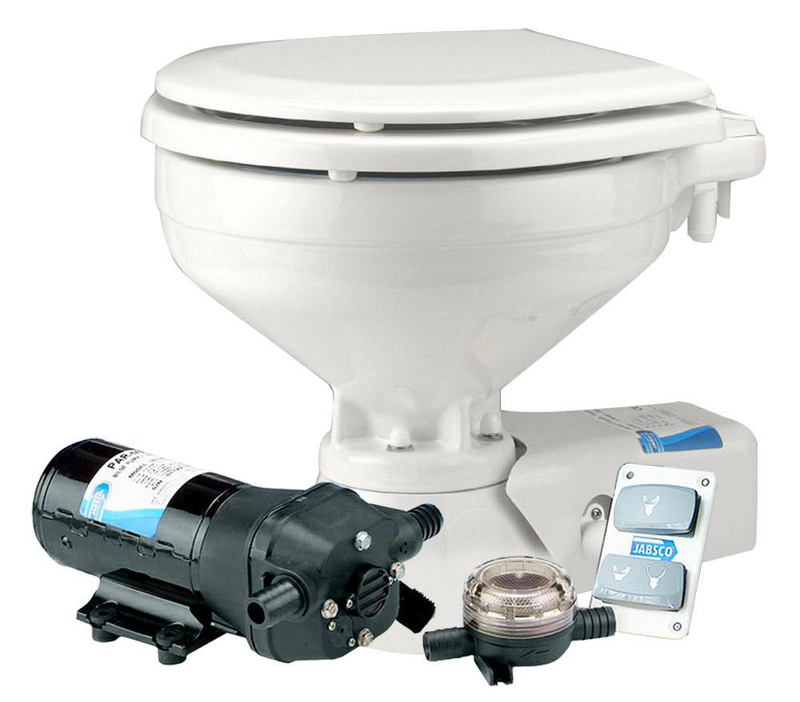 Pump-out toilets tend to be relatively complex and expensive compared to cassette toilets, but there are plenty of people in the boating world who would be reluctant to opt for anything less. They can operate with either a manual or an electric flush but those who find product popularity reassuring should take a look at Jabsco’s best-selling manual model. 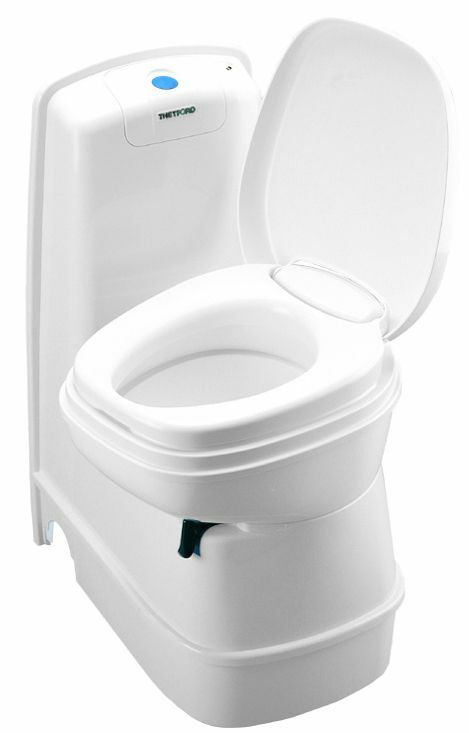 It comes with a china bowl and a wooden seat; it’s simple and reliable; it’s tailor-made for tight spaces, civilised in operation, quiet in the middle of the night (unlike most electric flush toilets) and it’s even affordable enough to replace at fairly regular intervals. Electric pump-out loos often use macerators to help minimise the chance of blockages. Liquid chemicals are the primary method of dealing with the smells that inevitably occur when waste is stored in a tank. They can either be put directly in your waste tank or they can be mixed with the toilet’s rinse water. Either way, our increasingly eco-conscious age has seen the emergence of several more sustainable nitrate and enzyme-based alternatives that aim to replace these chemicals by speeding up the decomposition process. There is also a new breed of loo known as the composting toilet, which uses sawdust or peat moss to dry out the waste, negate any smell and render it harmless. They use no water, they require virtually no maintenance and there is no prospect of traumatic blockages. More to the point, you can dispose of the waste by chucking it on your flowerbeds. 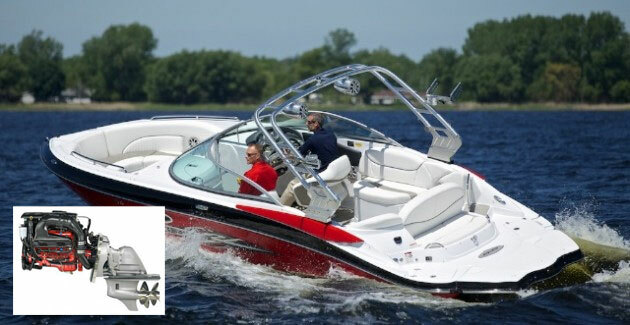 Their size does tend to limit their usability on smaller boats but their appeal is steadily growing.